The first time you launch the Trailforks app it asks you to download your first region. After that you may pan to an area of the map where you don't have the region downloaded. A red banner will show on the top of the map, making it a single click to download that region. From a high up zoom level you will see faint lines of trails, these load regardless if you have a region downloaded. 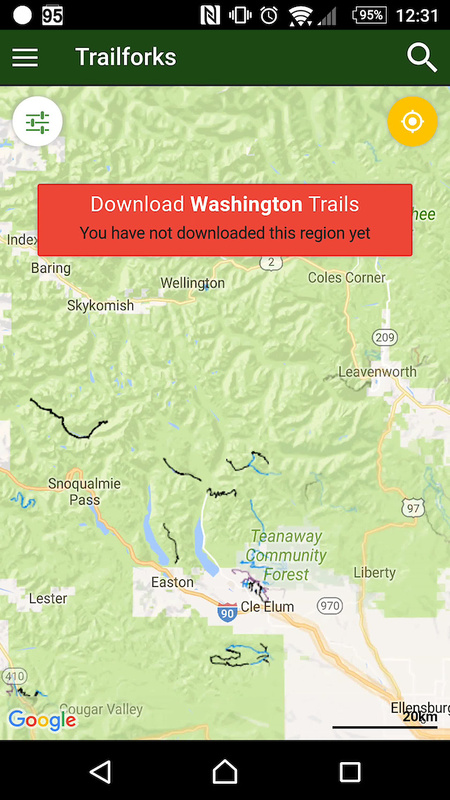 But soon as you zoom in the trails will not be visible, you need to download the region for the app to load the trails and have them for offline use.